Hurricane Beryl was moving westward Friday morning as it was over 1100 miles to the east of the Leeward Islands, according to the 5 am EDT advisory from the National Hurricane Center. However, forecasters with the National Hurricane Center said another low-pressure system a few hundred miles southeast of North Carolina may develop into a tropical depression and move slowly or stall over the weekend. By Sunday, before Beryl touches land somewhere along the central Lesser Antilles, the storm is forecast to be much weaker becoming a tropical cyclone or even just a tropical disturbance. "It is possible that we could have hurricane watches up for some of those islands by tonight", said Robbie Berg, a hurricane specialist at the National Hurricane Center. There will likely be some rain and wind impacts on the Lesser Antilles islands early next week. Maximum sustained winds have increased to 80 miles per hour or 130 km/h with higher gusts. 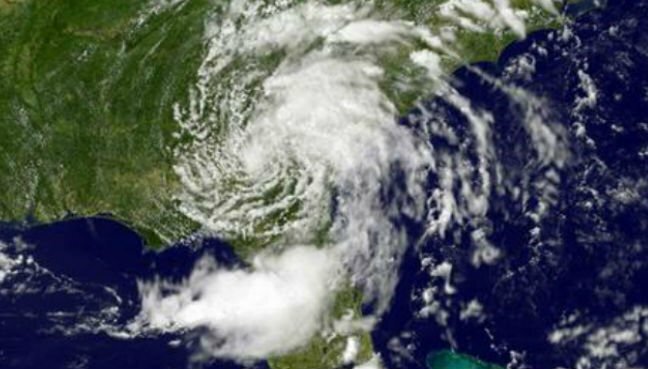 Beryl's "very small size" is making forecasting hard for the National Hurricane Center. This is the second named storm of the 2018 hurricane season. At 5 a.m., forecasters said sustained winds reached 75 miles per hour, a dramatic increase from Thursday when Beryl intensified to a tropical depression. Beryl is the easternmost hurricane to form from an African wave in August on record, according to University of Miami Rosenstiel School of Marine and Atmospheric Science hurricane researcher Brian McNoldy.